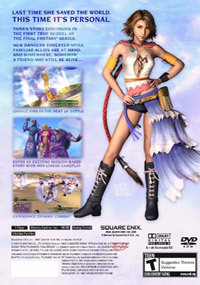 Taking place two years after Yuna's fateful journey to defeat Sin, the once chaotic world of Spira faces yet another challenge when it enters the "Eternal Calm". The people of Spira now shun the teachings of Yevon and have opened their arms to former foes, the Al Bhed and the use of machines. 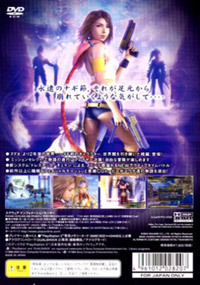 The Machine Faction aims to propagate the use of machina in Spira, going as far as renaming "machina" to "machines" to remove any lingering stigma. However, even though peace and tranquility have returned there is emptiness in Yuna's heart that is keeping her from moving on as the others have. 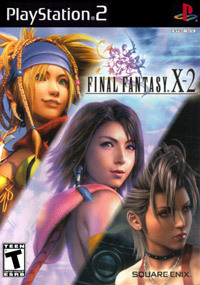 One day, Yuna obtains a mystical sphere that contains images of what might be the Blitzball player she thought was gone forever. 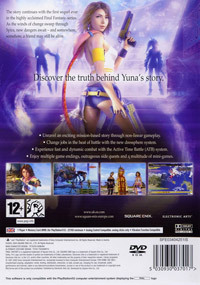 Although Yuna isn't certain that it is him or if he is even alive, she is driven to seek him out. Yuna needs closure to their unexpected parting, even if only to find that she will never see him again. So begins her journey: this is Yuna's story. 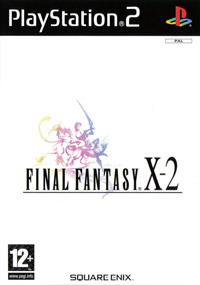 The first true sequel in the renowned Final Fantasy series. 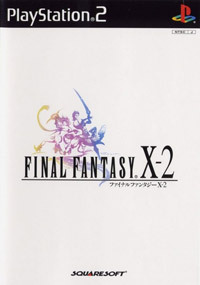 Final Fantasy X-2 incorporates several new gameplay elements and advances RPG gaming to new levels.